Since I had broken my leg twice in Riedells I felt like it was probably time to make a change. This is not to say I blame the break on the Riedells but I wanted to make a clean break (no pun intended, ha!) from the old and have absolutely no doubts about the boots. In between my Riedell’s, I wore Jackson’s for about 6 years and liked them well enough. They gave me a little more height on my jumps since the heel was a little higher. However, I have a narrow foot so I was always told to go to Reidell’s first and that was why I went back. Now, however, I was looking for boots not only for narrow feet but also for flat, pronating feet. When I say pronating, I mean extreme pronation. This actually led me to Edea’s which I had an extreme aversion to in the past because I honestly thought they were the ugliest skates on the planet. I think this is because I would see some skaters on tv wearing them and all I could think of was concrete boots. I think this was because of the lighter colored heel which made them look a lot like hockey skates. That being said, I had heard they were extremely comfortable, good for narrow feet and allowed for more of a knee bend thereby decreasing the likelihood of injury. It seemed like a lot of adults were having a fair amount of luck in them so I decided I would give them a try. I also had heard that you could not overboot in Edea’s because of this. Only a few skate shops in the area had the Edea’s and out of those only two shops had skates to actually try on and it was the lower model. I would have to special order the actual boot I wanted and then try that on once it came in to make a decision. I went, I tried and I was in heaven. I couldn’t even believe how comfy this boot was! It was crazy. Mike, the person who fitted me told me they made him try on a pair when they went through training and he said, they were so comfortable that they felt like hockey skates! I’ve told my husband time and time again, if the boots aren’t at least a little uncomfortable and tight then they are probably not the right size or the right boot. It was insane how they almost felt like street shoes. This also freaked me out. 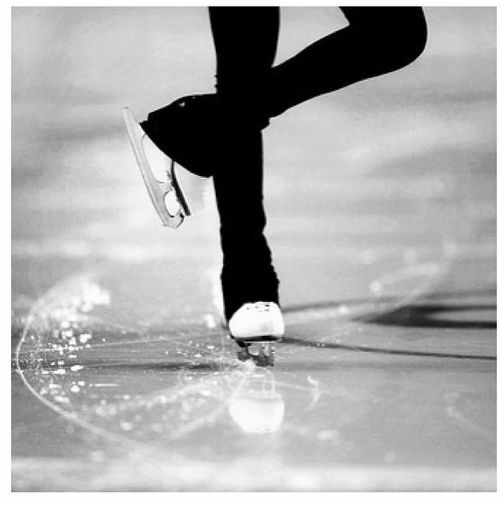 What figure skate feels good the first time you wear it?? Usually breaking in skates results in some type of pain or uncomfortableness (blisters, sore spots etc) as you break in the leather. It was so easy to put them on that it threw me off. Could this be right? Could figure skates be comfy when you first purchase them? What a weird idea. With Edea’s there is a whole methodology about tying your laces and the wearing of the boot. Instead of your boot creasing as you break them in at the ankle, the laces are the ones that actually stretch and flex with your foot/ankle/knee. Along with that, you should never tie your laces tight around the top of the boot, they should be almost loose to allow for your knee and ankle bend. This, as it turns out, was the most freaky part of these skates but I digress. The skates I ended up ordering to try were the Chorus. I kept my old blades as they still had a lot of life. Plus, as I am already skating challenged these days ; ) I wanted to make the break in as easy as possible. At the shop, I initially tried on the Motivo to see if I would even be interested in ordering the Chorus to try on. The Motivo has a stiffness rating of 45 I believe so yes, I knew this was going to be a lot less boot compared to the Chorus. As I am 5’7″ and not light as a feather, a stiffness rating of 70 seemed to be a better fit. That and I’ve been skating for a good 15 years. While I have no double jumps to speak of, I am not in any way a tentative skater. This made the Chorus vs. the Overture (with a stiffness rating of 48) a good fit for me. Not too stiff and not too soft. I don’t want to break them in and then have to purchase new ones in a years time nor do I want to kill myself breaking them in (Piano’s & Ice Fly’s) with the injuries I’ve already had! As it turns out when the boots came in, the Chorus felt just as amazing and I will not lie, they were gorgeous. I couldn’t believe how pretty these skates were. I mean these are figure skates, right? Gone were my thoughts of the ugly lighter colored heel and concrete block shoes that I’ve always remarked on when I saw other skaters wear them. These skates had a champagne heel with crystals on the boot. Say what??! My graphic designer mind went into overdrive. Who knew skates could be both practical and gorgeous? I’m a sucker for pretty colors and bling and yes, I fell in love. My husband thinks I’m insane but I admit to being completely obsessed when I saw them. They felt great, looked amazing and I purchased them. Holy $$. Yes, they were the most expensive skates I’ve ever bought in 15 years of skating but I’m hoping they are worth it. My first few moments on the ice were quite a shock though. I’ve always tied my skates so tight and had little to no room between the leather and my ankle but these skates? I almost took a nose dive on my first few steps. The heels are higher like Jackson’s but there is so much more space at the top of the skate it felt like I had left my skates untied. There was room to bend and some space behind the back of my ankle (the heel was still secure). That took some getting use to and for the last few weeks that is exactly what I’ve been doing. I was afraid to jump initially as I wanted to feel the comfort of leather around my ankle tied tightly but they do just fine, holding me on every jump. I find myself bending a lot more on back crossovers and reminding myself to bend more as I can feel that I have more room to do just that. The space behind my heel still freaks me out a little but I’m slowly adjusting. I only skate 2x a week so it is taking some time to get a feel for them. I decided to have custom orthotic inserts made to put in them so there will still be some adjusting to do in a few days. No blisters as of yet. The only thing I notice is that yes, they are very stiff and compared to my broken in skates that does feel very different and yes, they do feel a little bit more bulky when compared with regular skates such as Jackson or Riedell. As of yet, no doubles, axels or miraculous skills have appeared with these skates. No surprise there, however, I can now land my toe loop again without a nasty jolt to the side of my leg. That alone may be worth it. Time will tell though. For now, I’m doing fist pumps every time I land a toe loop as it was impossible to do it before because of the pain from the older boots knocking the plate in my leg. This is exciting by itself! I will update as I go along how the orthotics feel and how the boots adjust, for now, I’m just happy to be skating again! I hope this can help other adults choose the right skates as I couldn’t really find much info on these specific ones by looking at other blogs. If you are thinking about trying Edea’s I would definitely try them on first before purchasing because even though I like them very much they are quite a change from other skates. Since this is a long blog post I’ve broken this into two posts so it is easier to read! If you just want to know what skates I bought skip to the next post! And so I find myself once again back in the saddle, on the ice and skating with a purpose once again! A little bit about the last year and a half as I took an extended break from the blog. I have been skating over the past year or so just not with any regularity as it really did take some time to recover from my last injury. I still find myself limping here and there as it effected an old injury I had and it was a bit of a struggle to just walk normally for a very long time. I still have to baby the bad foot and go slower off ice, watch how much I practice and in general, really pay attention to my body. I kind of did that before but I am extremely vigilant now. If I feel off, you better believe that I will not step on that ice. Plus, I finally got married last year! WOOHOO!! I was distracted from skating (to say the least) and very much focused on being injury free. Walking pain-free was much more important. Our wedding was in Italy so I was determined to not risk any chance of injury so I could walk to my heart’s content in Tuscany, Rome, Sorrento etc. If you’ve been to Italy, you know that walking there involves a ton of uphill, uneven cobblestones, and stairs of every kind. Even skating couldn’t tempt me! And that’s saying something as anyone who has read any part of my blog knows that I am a true skate-aholic! So I stuck to walking/cycling for most of the last year and then returned to the ice about 2x a month toward the end of 2016 and beginning of 2017. However, in the very beginning of this summer, I started taking group lessons at a local ice rink to get my bearings again and go over the basics. I wanted to really feel the ice, make sure my crossovers, 3 turns, and spins were solid again. I also wanted to introduce myself to having someone make corrections to my skating in an informal atmosphere where I didn’t feel pressure. Not that private lessons were tons of pressure, it’s just that I wanted to feel free to skate slower and not get wrapped up in where I was before versus where I am now. Also, the cost was a lot less $$. This helped a lot. It forced me to have a regular skating schedule again and to build up some of those skating muscles which I had lost. I ended up taking one other group lesson and going to a 2-day adult skating camp focusing on basic skating skills. This forced me to remember the correct posture and gave me some new skating skills that I didn’t have before. Then I decided to take some time off the ice at the end of the summer for vacations and other family type events. I was doing pretty well before that and had really regained a lot of the skills I had lost but then when I returned again at the end of September it was like starting all over again with the basics so that was uninspiring, to say the least. 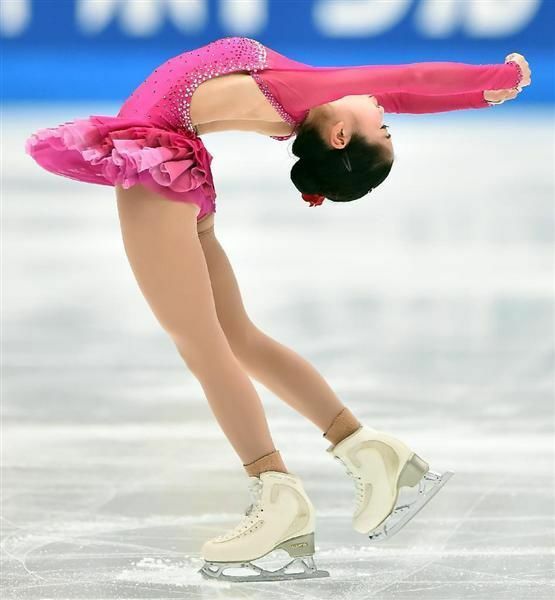 In general, I was able to regain or at least try to do all the things I used to do without much pain with the exception of one skill, my toe loop. Not because I couldn’t do it or I was afraid but because every time I did it the darn boot would bang against the plate in the side of my leg. This was a little upsetting as it is one of the easiest jumps I do and pretty integral to any program but it was very painful to do the jump. Almost like a shock every time the boot banged on my leg. For a little while I just ignored it (although it bothered me) and then I started feeling like other elements (while not bothering the plate) were just a little slidey. I then had my blades sharpened but I still felt like things were not quite right. I remembered before the break sometimes feeling my boot slip a little on jumps so I thought perhaps it was time to get new boots. It had been 5 years after all with many hours on the ice and I was starting to tighten my boots every 30 minutes or so in the sessions I was skating. Not to mention the large creasing in the boot by the ankle, a sure sign that my boots were breaking down. So, despite the thought that I would probably have to start all over again with building my skills up, I realized I needed new skates. On the bright side and I’m sure many would agree, there is nothing more thrilling than imagining all the new skills you will be able to do if you can just get the right skates. Of course, the boots will not magically make new skills appear, sigh…. but they can make it easier or harder to do them! It’s great imagining and I must admit, the main part of the fun in buying new skates. Ahh, the axels, the doubles, and those damn moves… all mine, once I find the right skates! Right? HA! Probably not but I can dream, right? After all, this is what this blog is about, dreaming to skate, right? More realistically though what if I could do my toe loop again without pain? My Riedells were laced up so tight I thought maybe I could find a skate that would not bother my leg as much, not be as tight. Maybe my landings would be more secure? Yes, that’s what I was looking forward to and hoped to fix and so the hunt for new skates began!